If you're tired of getting duplicate drops in your Overwatch loot boxes, you're going to love the newest PTR patch. 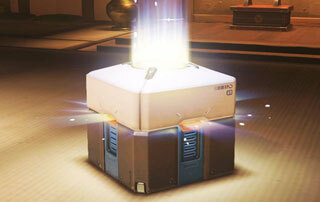 Blizzard is looking to reduce the amount of duplicate drops you get in your Overwatch loot boxes. In a move similar to the one the company is planning to employ for Hearthstone card packs, it says that in the newest PTR patch, it is "drastically reducing the amount of duplicates players will receive when opening loot boxes." Of course, those duplicates turn into credits, so less duplicates means that players will receive less credits. To compensate for this, Blizzard is raising the number of credits you'll receive from loot boxes. According to the official blog post, "On average, players should be earning just as many credits, if not slightly more, from loot boxes than they did prior to these changes." But that's not all that's in this update. Also included is the oft-requested highlight system. Players will be able to generate their own 12-second highlights simply by pressing a single button. Highlights will be saved in a new section named "Recently Captured," and you can have up to 36 highlights stored there at once. You can export your highlights as a video file, and PC players will be able to choose the quality of the highlights, up to 1080p on Windows 7, or up to 4K at 60FPS on Windows 8 and newer systems. This patch is now live on the PTR. You can find the full patch notes, as well as instructions on how to join the PTR and check it out, over on the Overwatch blog.